A routine patrol in the south has yielded a huge catch of salted shark meat and dried shark fins. 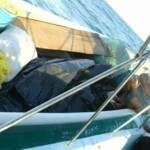 The Fisheries Department is just reporting the incident that took place on March twenty-second while a patrol was carried out by the Port Honduras Marine Reserve Rangers in the area along the coast from Punta Negra to Monkey River and back to base station at Abalone Caye. 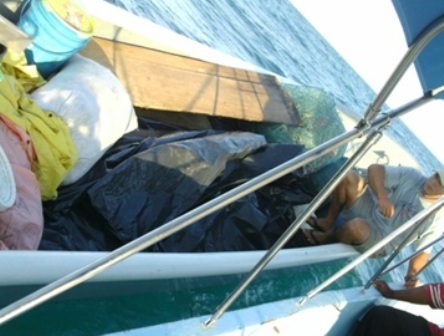 According to the Fisheries Department, after spotting the vessel, a TIDE Ranger called for assistance and within fifteen minutes caught up with the escaping vessel in the vicinity southeast of Frenchman Caye. 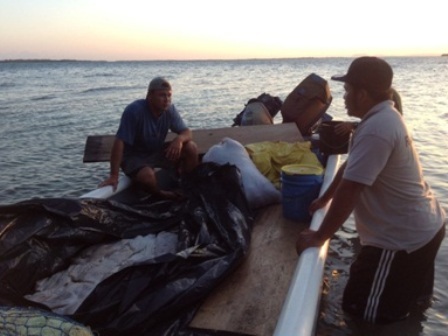 Two men identified as Jose Chulin of Ranchito in the Corozal District and Lineker Ortega of Temash River in the Toledo District were found in possession of the shark meat and fins. While they held valid licenses, they were detained because it was suspected that they were trying to export the fish products to Guatemala. 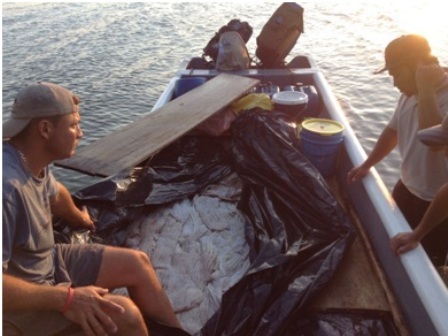 Chulin and Ortega were then detained for attempting to export fish products to Guatemala, but managed to flee from the rangers with the patrol vessel in hot pursuit. 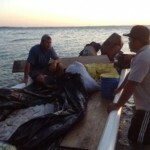 It was not until a resident informed TIDE that two fishermen had requested his assistance in exporting salted marine products to Guatemala that Chulin and Ortega were finally captured. Onboard the vessel were two gills nets longer than a hundred meters, five hundred and forty-two pieces of salted shark, four hundred and thirty-nine pieces of mackerel and catfish and seventy-three shark fins. Chulin and Ortega were taken to Punta Gorda Magistrate Court and were charged with the following fisheries offences: shark fining, possession of a gill net longer than hundred metres, and attempting to export fish without an exporters license.